Confident Speech is located in New York City (Manhattan). It was founded in 1982 by Everett Leiter. We offer both group and individual instruction at our convenient downtown location. We are also available for training programs at your work place. Everett Leiter is a native of Washington, D.C. He has lived for many years in New York City. He has helped people to achieve optimal communication for more than 25 years. He earned a bachelor's degree in linguistics from Brown University, a master's degree in speech and hearing from the City University of New York, and a master's in business administration from New York University (Stern Business School). He trains corporate executives and employees to improve their communication skills by modifying their pronunciation and optimizing their voice production. He is the author of a series of popular videos and software programs for mastering English pronunciation. In addition, he has worked extensively with the full range of communication problems of people of all ages. A native speaker of English, he also speaks Spanish, French, and Italian. 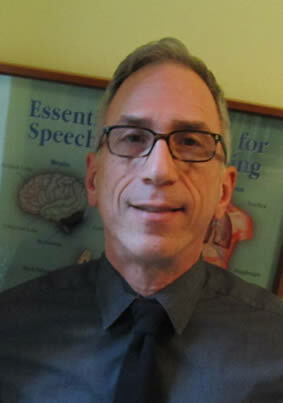 He was the 2003 President of the Corporate Speech Pathology Network, a professional association dedicated to improving communication skills in the workplace. Please explore our website and visit us often for new information.